In June Senator Thad Cochran won the GOP primary runoff election over conservative challenger Chris McDaniel after 25,000-35,000 Democrats helped push him to victory. Cochran and the Republican establishment also were behind the racist anti-Tea Party ads that ran in Mississippi prior to the runoff election. Thad Cochran won the election over Chris McDaniel by 6,880 votes in the June 24 runoff. However, since the election, the McDaniel campaign quickly found 1,000 examples in one county of Democrats who voted in the June 3rd primary as Democrats and then crossed over into the Republican primary this week. This is illegal and their votes should not be counted. 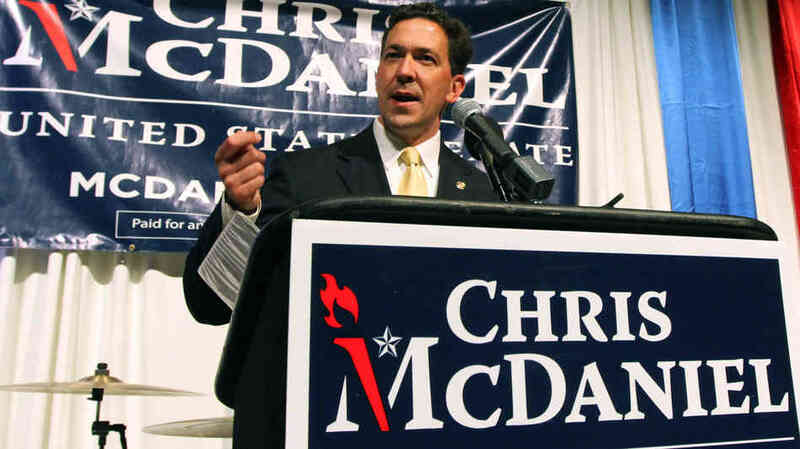 The Chris McDaniel for Senate campaign identified multiple Mississippi counties where this occurred. Last Thursday True the Vote, the nation’s largest voter integrity organization, filed a lawsuit against the Mississippi Republican Party for destruction of absentee ballot documents, double voting and discarded legal votes found statewide. State Sen. Chris McDaniel says he has found 8,300 questionable ballots and will hold a press conference on Wednesday. State Sen. Chris McDaniel, still refusing to give up his challenge to incumbent U.S. Sen. Thad Cochran, said Friday via e-mail his campaign had found 8,300 questionable ballots across the state from the June 24 Republican primary runoff. McDaniel has said before he intends to file a legal challenge to the June 24 election where Cochran defeated him by 194,932 votes to 187,265 votes. This past week the McDaniel campaign sent supporters into each county to look for possible voter irregularities. The Cochran campaign, which has had representatives in each courthouse to observe the actions of the McDaniel campaign, has said only a few hundred irregularities were found. The McDaniel campaign and supporters have alleged instances of fraud, vote-buying and of people who voted in the June 3 Democratic primary ineligibly voting in the Republican runoff.